SCEC has been encouraged by a recent meeting with Main Roads Minister Mark Bailey, senior Transport and Main Roads (TMR) staff and representatives from the Department of Environment and Heritage Protection and the Department of National Parks, Sport and Racing regarding the Caloundra Road to Sunshine Motorway upgrade. This reference design is the basis of an Expression of Interest package released at a recent industry briefing for tenderers of the project closing on 1st October. Two proponents will then be selected to progress a detailed design during a commercial-in-confidence period of 4 months. This process is underway despite not having approval under the Environment Protection and Biodiversity Conservation Act. 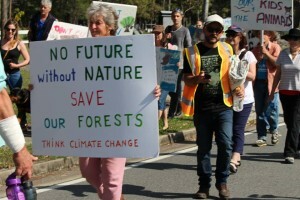 The project was deemed a controlled action due to its impacts on Matters of National Environmental Significance such as the koala and lowland sub-tropical rainforest amongst others. See SCEC’s EPBC referral submission for more detail. The project referral is still in the preliminary documentation assessment phase with Main Roads required to submit further information. Once this additional information is submitted and assessed by the Department of Environment, a short public comment period will be advertised. 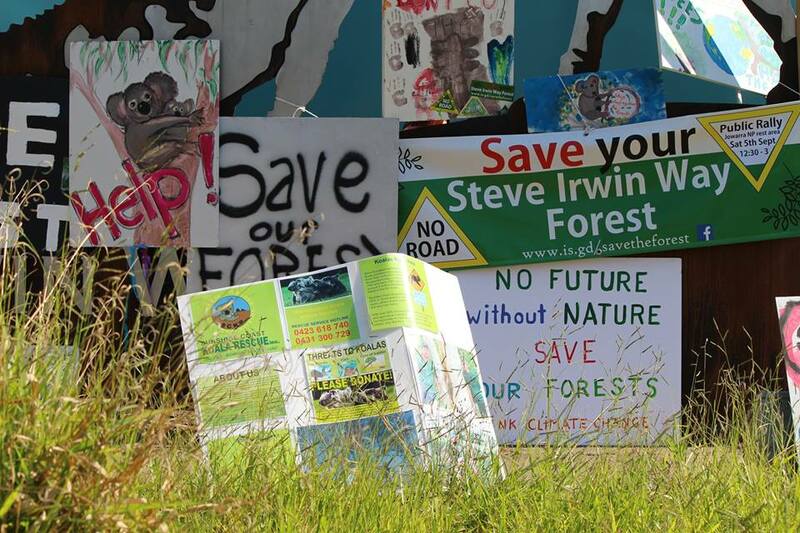 It is during this detailed design phase that assurances were given by the Minister and TMR that innovation and the potential for reducing impacts on the Mooloolah Logging Area (locally known as the Steve Irwin Way Forest) can occur. 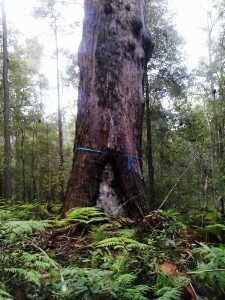 “As additional impacts such as deeper incursions into larger, sensitive wetland areas of the forest and isolating the historically important Mooloolah Cemetery were aired and discussed with the Minister and the departmental staff, the justification for an improved design to avoid the forest was further understood” says SCEC’s Advocacy officer, Narelle McCarthy who attended the meeting. An evolution of design that meets contemporary expectations for infrastructure and environmental protection, particularly in a time of declining biodiversity and accelerated loss of species is possible and should be delivered according to SCEC. As part of a significant bioregional corridor from the coastal lowlands to the hinterland, it was stressed that connectivity through appropriate and effective fauna treatments between the the Steve Irwin Way Forest and the Jowarra section of the Mooloolah National Park is essential in any scenario. 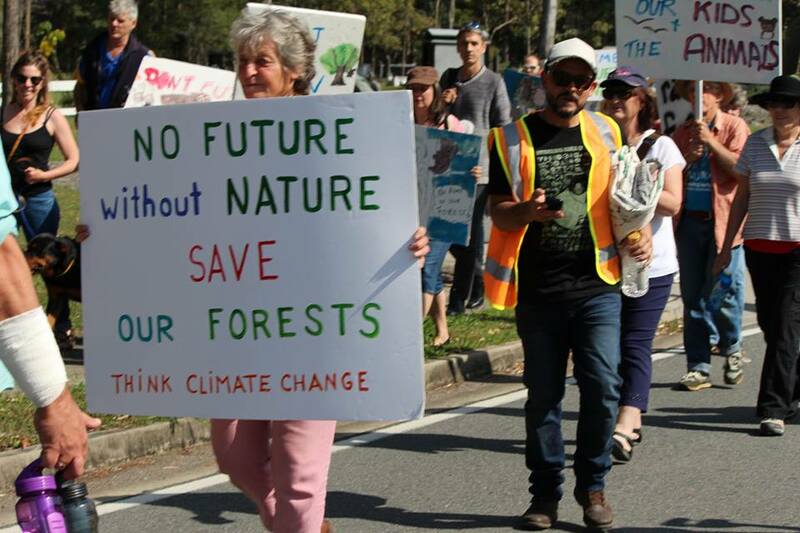 It is SCEC’s view that we should not be seeing or entertaining the revocation of a large portion of an ecologically significant forest earmarked for transition into National Park for it to be put under concrete and bitumen when alternatives are possible.